1.) ... Enable or disable the screen saver password! 2.) ... Why many user on computers and laptops disable the password entry! See also: ► Disable or enable Hibernate and Sleep on Windows! 1.) Enable or disable the screen saver password! to open the Screen Saver Settings (Image-1). Here simply disable/enable "On resume, display login screen" (See Image 1 Arrow-2), if the password is not to be used, or enable if you want to use the screen saver password protection. See this: ... How to change the Windows 8 user password, remove or create? Type the name of a program, folder, document, or internet resource and Windows will open it for you. 2.) Why many user on computers and laptops disable the password entry! Read This: ► Auto login windows 10 without password? Windows-8 - FAQ-48: How to enable the password prompt for screen saver in Windows 8.1 (disable, turn off, turn on)? Windows 8.1 screensaver without password? How to create a password for screen saver in winow 8? Turn off start screen password windows 8.1? Windows 8.1 disable password screensaver? Disable password prompt screen saver windows 8.1? Ask user for username and password screen server 2012? Turn off password on windows 8.1 screensavers? Psword on screensaver windows 8.1? Screen saver password windows 8? Setup screen saver password windows 8.1? Win-8 Password protect the screen saver off or on force? How to turn off password on windows 8.1 screen saver? Screen saver settings windows 8.1 password? Windows 8.1 screen saver password? Password on screensaver windows 8? Windows 8 require password screensaver? Remove password screen saver prompt? Password required after screen saver windows 8.1? How to change the loging screen in windows 8.1 thats prompts for username as well? Turn off scrrensaver password windows 8? Off password on windows 8.1? How to turn off screensaver on windows 8.1? On resume password protection in screen saver windows 2012 server? Enable screen saver windows 8.1 login screen? How to disable password prompt windows 8? Turn offf screen saver password windows 8? Turn off password protection for screen saver windows 8? Windows 8.1 how to delete password for screensaver? Windows 8.1 password protect screen saver? 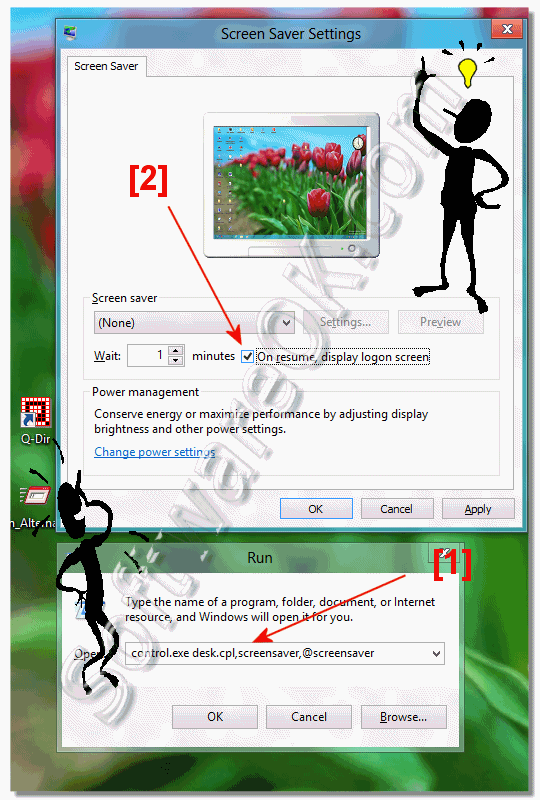 How to enable screen saver-windows 8? Windows 2012 gpo prompt for password screen saver? Windows 8.1 power saver password? How to turn off the screensaver in windows 8? How do I add a password when window 8 is on screensaver? How to disable password in windows 8.1 screen saver? Windows 8.1 start inlogscreen screensaver? Windows 8.1 password when screensaver? Disable screen saver password windows 8.1? How to turn on Windows Password Prompt? How to add screensaver password in windows 8? Enable password screensaver windows 8? Windows 8 require password screen saver? Password protected screensaver windows 8? Window 8.1 screen saver password? Screen saver password windows 8.1? Set the Windows 8.1 screensaver password? Password screen saver windows 8? Windows 8.1 password screen saver? Windows 8.1 how to require password after screensaver? Turn off windows 8.1 password screen? Wscreen saver password indows 8.1 ? Screen saver password protective windows 8? Window 8.1 password screensaver how? How to disable password on window 8.1 screen saver? Have to key in password on windows 8.1 after screensave? Windows 8.1 how to turn off password prompt? Turn On Password Windows 7? Window 8.1 screen saver ask password? Windows 8.1 enable password prompt? How to turn off password screen windows 8.1? Add password to screensaver windows 8? Remove windows screensaver password in win 8.1? Windows sevar administrator password key download? Add password for screen saver windows 8?